Bay To Bay Roofing, Inc is a leader in residential roof replacement. We offer the service of a strong local company with a solid history of installing quality roofs at competitive prices to all our clients. We have had many repeat clients and have strong relationships with all of them. If your roof has incurred damage from weather related storms or other reasons, give us a call today and get your free roof evaluation and quote! There is no obligation and it will remain on record for insurance purposes in case you need it at a later date! As you search for a roofing contractor there are many factors to consider. It is important to be properly prepared and educated before you begin that search. The more you know the more likely you are to choose Bay To Bay Roofing, Inc for your roofing project. When selecting a contractor it’s important to select one that will offer the best services and protect your roofing investment. This is why it’s necessary to check the reputation of the company and contractor as well as the stability and the workmanship. According to the Wall Street Journal there were over one million complaints and lawsuits filed against contractors last year. That is an astronomical amount. This is why it’s so important to choose a company you are comfortable with and trust. Before choosing a company follow these guidelines to insure that you are not part of the 62% that file complaints against their contractors. You definitely want to make sure that your contractor carries general liability insurance for both commercial and residential projects. A sizable contractor will carry no less than $500,000, but more closely around $1,000,000 in coverage. It is important that they are not “self-insured” there are a good amount of companies that do not carry proper coverage to protect you against any losses. Before choosing a company ensure that there is an arbitration statement within the contract. 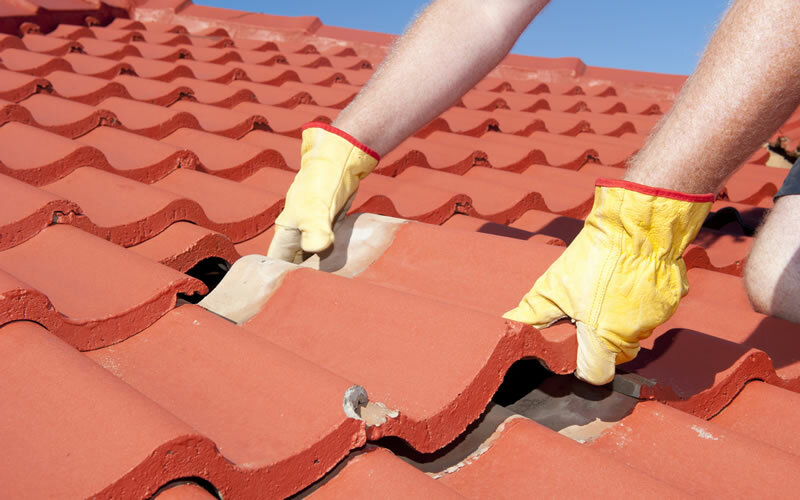 This ensures that if complaints arise, the roofer agrees to settle disputes through binding arbitration. Without this agreement there is no recourse. If a contractor asks for money upfront, there may be something a little fishy going on. There are only two reasons that a contractor would ask for the funds before beginning work. The first reason is if a special order non-returnable roofing material is ordered. This way the contractor is not out the money if you decide you don’t want it, or decide not to finish the project. The other reason is if your insurance is not covering your roof repair and your credit is questionable. Other than these reasons payment should not be accepted up front. There are a lot of frauds and scams out there so it is good to be wary of such things. A company that belongs to a trade association offers quality work and has ethical integrity. Associations like the National Roofing Contractor Association and the Better Business Bureau are common associations. These are just some factors to consider when choosing a roofing company. We at Bay To Bay Roofing, Inc hope that you will give us a call today; we are a step above other roofing companies and offer quality and professional service at competitive prices! Call today for a free evaluation and quote!